Scientists at North Dakota State University are developing a technology that brings the repeatable adhesion of sticky notes to rigid items such as plastics, glass, metal, wood, particle board, composites, and even highly pliable materials that you don’t want to bend, such as paper or woven materials. 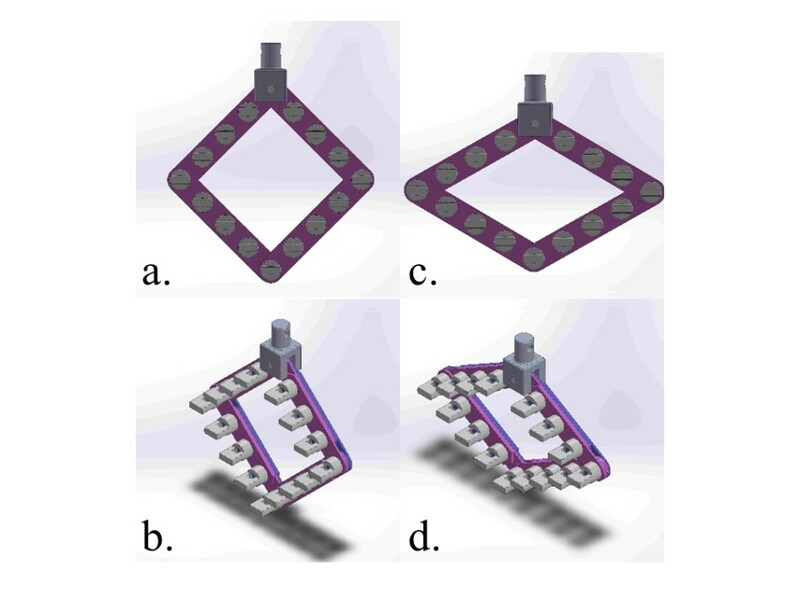 This reversible adhesion is accomplished simply by adjusting the degree of rigidity – adding stiffness leads to adhesion, while reduced stiffness leads to release. This technology improves upon reversible adhesive systems, where items can be adhered to surfaces and easily removed. Two methods are widely used (illustrating the high value of reversible adhesion), but each has significant limitations. The first example is the bendable ‘sticky note,’ which attaches to many surfaces, can be peeled to remove, and can reattached many times over. A major limitation is that this only works with a foldable backing (e.g. paper), where ‘fold’ formed by peeling creates an angle that triggers adhesive release. A second example is that rigid items can be removed using a stretchable adhesive backing, where the adhesive releases as the backing stretches (e.g. 3M’s Command® products). A major limitation of these products is that they are single use, the stretchable backing being destroyed by the process of release. This system is not an adhesive, but rather the process of using existing adhesives in new ways. 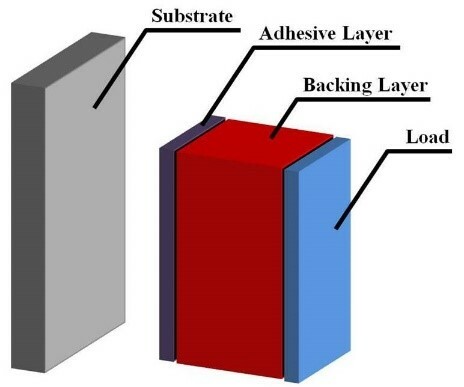 Therefore, the system can be used synergistically with existing reversible adhesives that would be selected to match the specific properties of a backing material and the needs of a given application. Enable multiple rounds of adhesion and release of rigid items to walls, ceilings, floors, shelves, etc. Extremely wide range of backing materials can be used, these being any material that will hold the ‘load’ and that can do so while undergoing a change in stiffness / rigidity.